Interested in cruising but not sure it is for you? I have a number of girls whose blogs you should check out to find out more. Like me, these ladies love cruise holidays. Much like me, these fab female cruise bloggers are on social media to dispel all those naff, outdated stereotypes people have about cruising. We’re not anywhere near retirement or have boring formal, snoozy holidays. Except when we want to chill and perhaps enjoy the spa – or sleep in after a late night at the ship’s nightclub. Regardless where you are in the world, you will find young female cruise bloggers sharing their passion for our favourite kind of holiday and for what the ships have to offer. 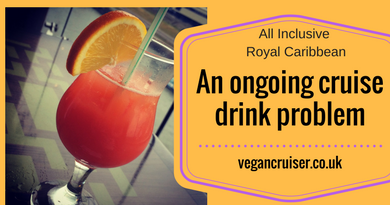 Here are some of my personal favourites for you to check out – blogs & Instagram accounts to entice you too to try cruising. 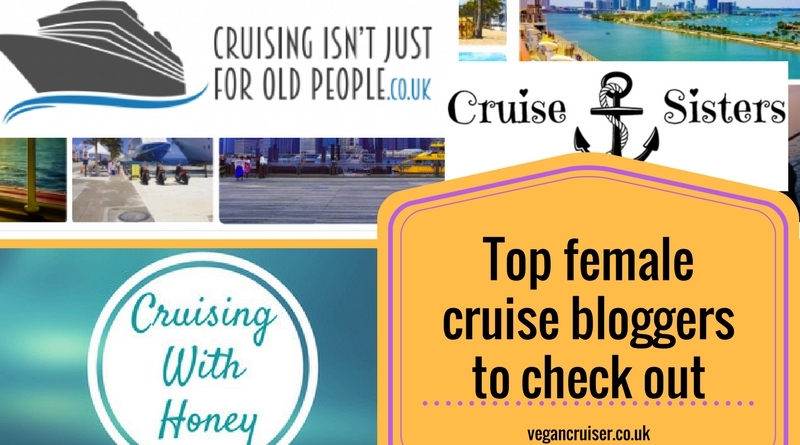 For those in the UK, do check out lovely Emma’s blog Cruising Isn’t Just For Old People. Emma is a well-travelled (well-sailed?) young cruiser at 23. She loves Norwegian Cruise Line (NCL) – especially their frozen Mango Meltdown cocktail (alcholic slush puppy?). In addition to building a community of young cruise fans on her FB group, Emma’s blog also hosts a young Brazilian guest blogger & cruiser Stella every Saturday. Recently Emma’s started Vlogging too so if you’re that way inclined, check out her Youtube channel. Being dairy-free, Emma is another proof that you can cruise with dietary needs – be it vegan diet or food intolerances or allergies. Another regular read of mine and another UK female cruise blogger friend is Lost Ashore. She is a northern lass, a 23 yo cruise addict called Victoria. She loves Princess Cruises more than anything, and detests a particular sister brand. Victoria is a firm believer in shorts and informal wear. Her blog is so funny. Read it and you’ll agree! For a little European flair, check out Cruise-Sisters.de and the two authors/sisters Juliet (24) and Janice (37) who blog both in German and in English. 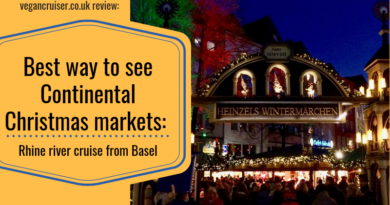 Their blog features a wide range of cruise lines, including some not that well known in the UK and fab photography! Most bloggers have an Instagram account but not all Instagrammers are bloggers. I recently found a new German Instagram cruise account called TussisOnCruises. Tussis being ‘chicks’ in German. They are two cruise-fanatic friends who share their travels on Instagram. If there ever was one cruise YouTube channel you should subscribe to, that is CruiseTipsTV. Sheri and her husband (and kids) cruise, blog & vlog everything to do with cruises – there are even live YT streams. Ships, destinations, cruise fashion and packing advice – everything under one roof for you. Another Instagram account to follow is Heather Cruises, a big Carnival cruise line fan from the US… she even married on one of their ships recently. In addition to her Instagram, you will also find Heather blogging for Cruiseradio.net. Last but not least.. because she’s on the other side of the world: Cruising With Honey! If you are interested in taking a cruise in Australia and New Zealand, Honey is your person to follow. She’s got an established blog with cruising, giveaways and more. And I love her hair colours, much! Honey recently shared this #girlpower charity fundraiser message on her Instagram. An estimated 75% of the girls on this island do not have access to feminine hygiene products which means them having to skip school when they’re menstruating. Invaluable days of education are lost each month. This charity campaign aims to provide girls in Vanuatu access to washable/reusable pads, buckets and detergent (Vanuatu is an island in the South Pacific Ocean and a cruise destination). Please consider supporting this and other similar campaigns. Your local charities working with homeless women are also often short of sanitary items. Be an angel – help another girl out. These ladies are my favourite female cruise bloggers out there. Fabulous girls from all over the world, 20 to 40 something cruise aficionados wanting to share their love for cruising with you. Do give them a follow – maybe you too will see why we love cruising as much as we do. For my top 10 reasons to cruise, see my post here! Any comments or questions to do with cruising, do not hesitate to ask  Please comment below, tweet me or message me on my blog Facebook page! 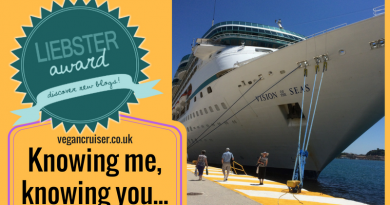 ← Knowing me, knowing you.. aka Liebster Award excitement for my cruise blog! I find cruising just the best thing ever – we really get spoiled as a couple, total ‘us’ time with no chores. We just do our bit, none of that ‘must mingle, socialise’ formal stuff onboard. Not that you’re onboard much, sail overnight and next day is spent in port. Check out my 10 reasons to cruise post why it really works for us and other couples  Why do you think he wouldn’t want to go on one? I’m researching a post here… about common reasons/misconceptions people may have about cruising/ships.